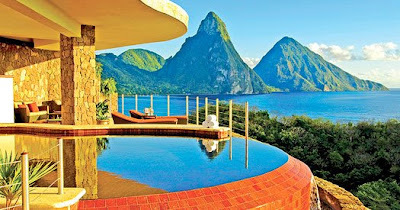 What is this Jade Mountain, St Lucia that many people are googling for? 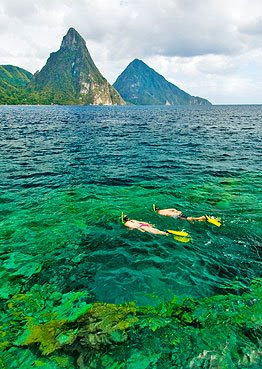 of St. Lucia, rising above the private estate of Anse Chastanet with 600 lush tropical acres bordering two soft sand Caribbean beaches with pristine coral reefs, located in the southern part of the island facing both the Piti and Gros Piton mountains that floats on the Caribbean Sea. Just google the net for more info of this resort. 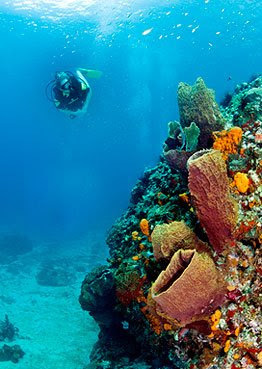 To those who want to take a break on a busy life, this place is good for you. See some photos below.